Born in Baler in Rajasthan’s Sawai Madhopur district in 1905, Vijaiwargiya developed a keen interest in painting at an early age, initiated by a wandering sadhu of the Ram Snehi sect. 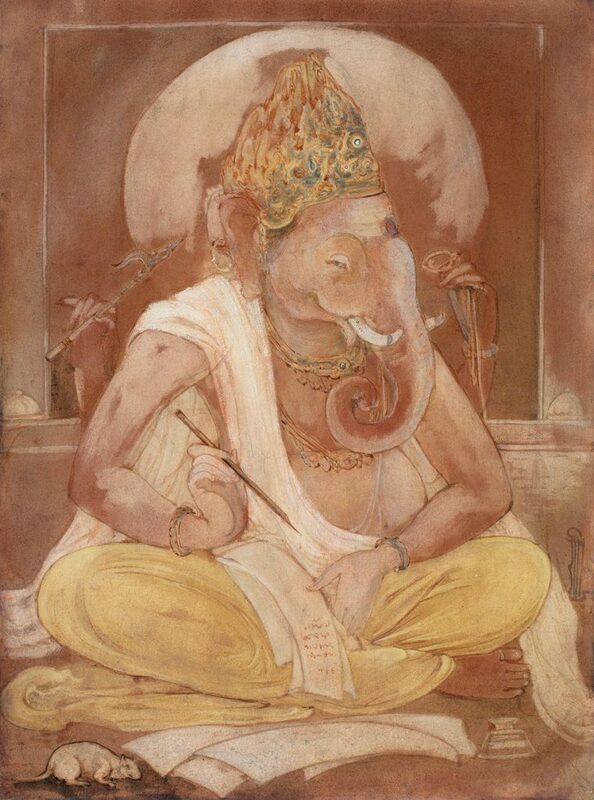 He joined the Maharaja School of Art and Craft in Jaipur, studying watercolour wash under Shailendra Nath Dey, a disciple of Abanindranath Tagore. Vijaiwargiya is best known for paintings with Ajanta-like characteristics of gracefully curving bodies, soft smiling mouths, half-closed, doe-like eyes, sinuous arms and long, tapering fingers. 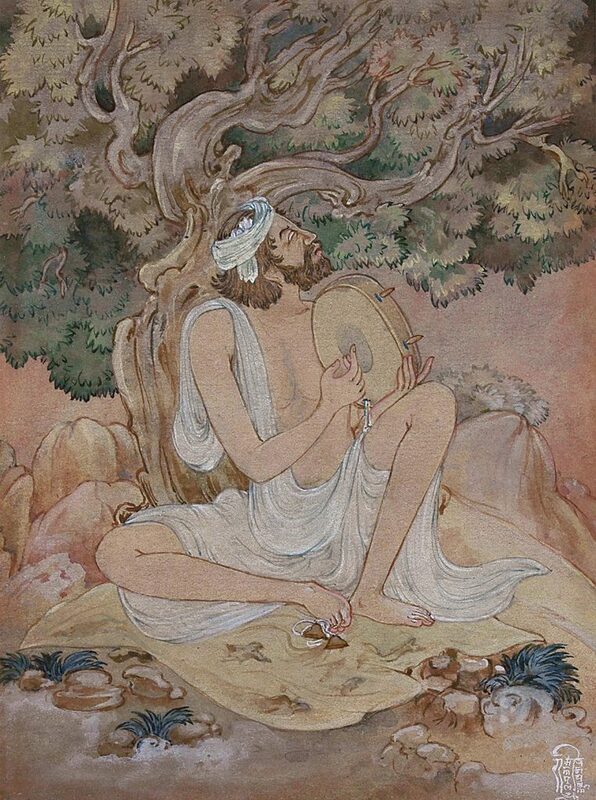 He drew his inspiration from Kalidasa’s plays, the Ramayana and the Mahabharata, the medieval poet Bihari’s Satsai and the Persian poetry of Omar Khayyam, Sadi and Hafiz. Unearthing traditional Rajasthani paintings led to his second genre of paintings – vignettes of vividly coloured Rajasthani life, linear studies of rustic simplicity of work and play, and the whirl of fairs and festivals. 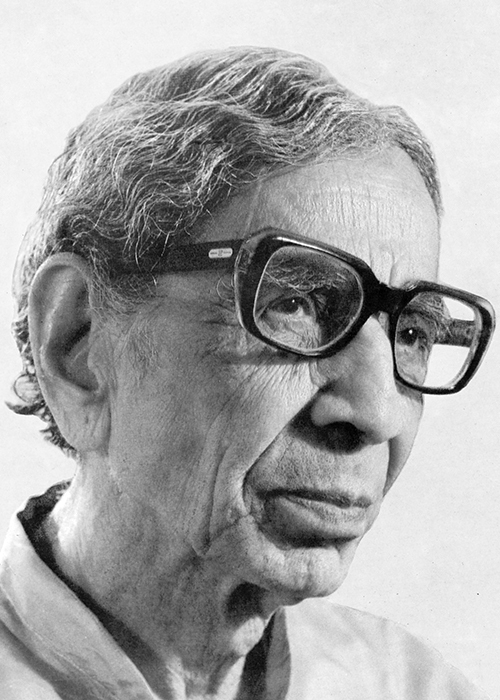 Gaining considerable recognition for his paintings by the time he was thirty, his paintings were frequently reproduced in Modern Review and Amrit Bazar Patrika (both English), and Prabasi and Basumati (both Bengal), besides several Gujarati and Hindi magazines. In 1984, Vijaiwargiya was awarded the Padma Shri.